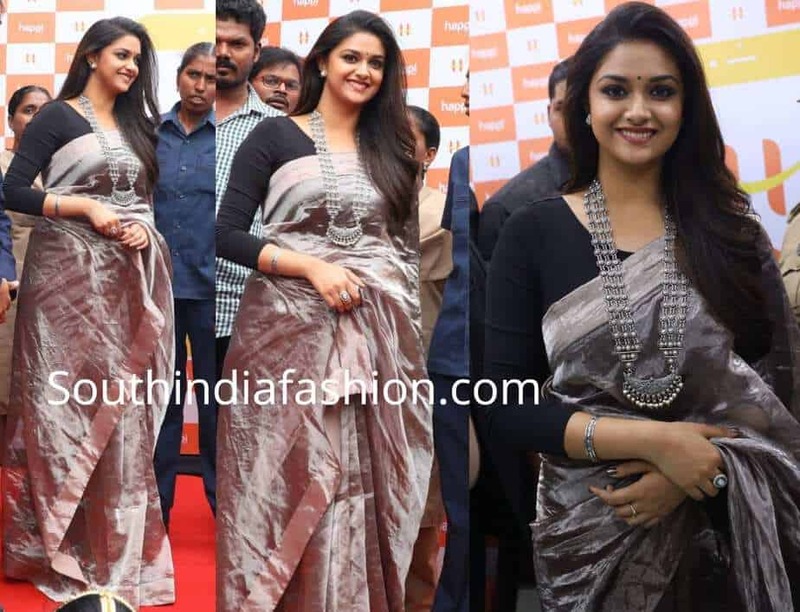 Keerthy Suresh inaugurated Happi Mobiles store at Guntur wearing a grey tissue saree paired with black three quarter sleeves blouse. She accessorized her outfit with silver jewelry and finished off her look with simple hairstyle and minimal make-up! 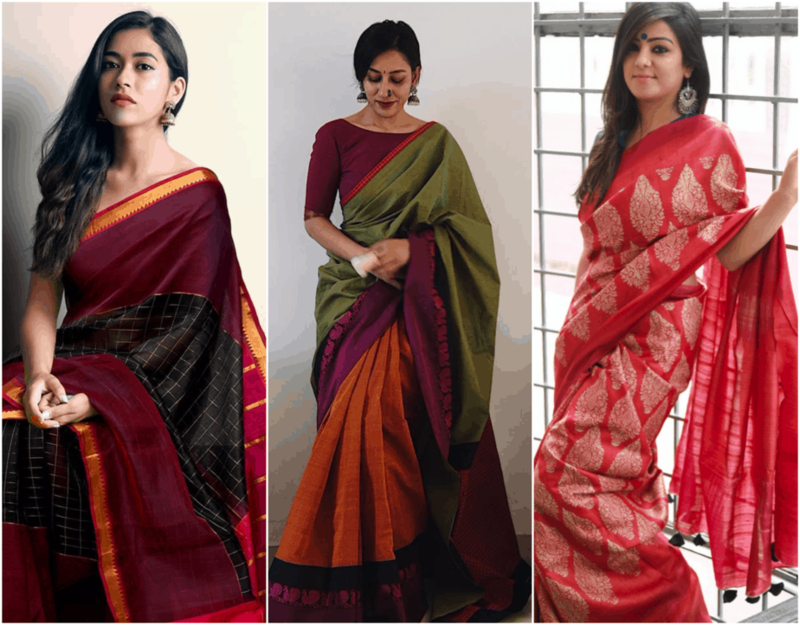 The post Keerthy Suresh in a traditional saree appeared first on South India Fashion.